What are LIFEgroups at Bethesda? The goal and purpose of our LIFEgroups is spiritual and personal growth in Christ. We are confident that participants and leaders alike will grow, as we learn and process together, serve together, pray together, and support each other in life and our journeys of faith. 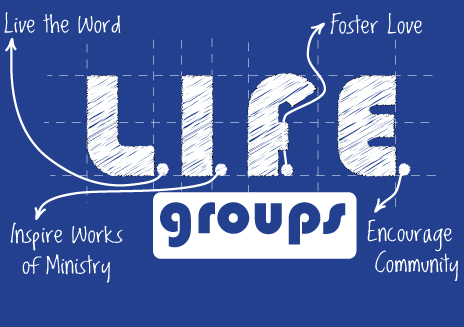 LIFEgroups are small groups of people who meet regularly to grow in their relationship with Christ, discuss how their faith intersects with their daily lives in caring community, and encourage one another as they find ways to serve Jesus’ cause. In addition to LIFEgroups, we also have some short-term courses that help people learn more about what the Bible says about certain topics or aspects of our lives. To find a group, click on the image below, and use the search tools. If you're interested in starting a group, please contact Pastor Brian. For leaders of groups located at Bethesda, please complete the form below and return to the office, so that we can reserve your space.